What can I do to make this more visual appealing (I know this is a pretty broad question) but it almost feels like the wheels are sunk in? Does my car need to be lowered a little more? Do I need wider tires? Spacers? What would you guys do it if it was you? I'd suggest spacers if you want them to sit a little more flush with the fender. For the record, the offsets on the wheels are essentially the "right" offset for the car so it doesn't rub, much like the stock wheels. 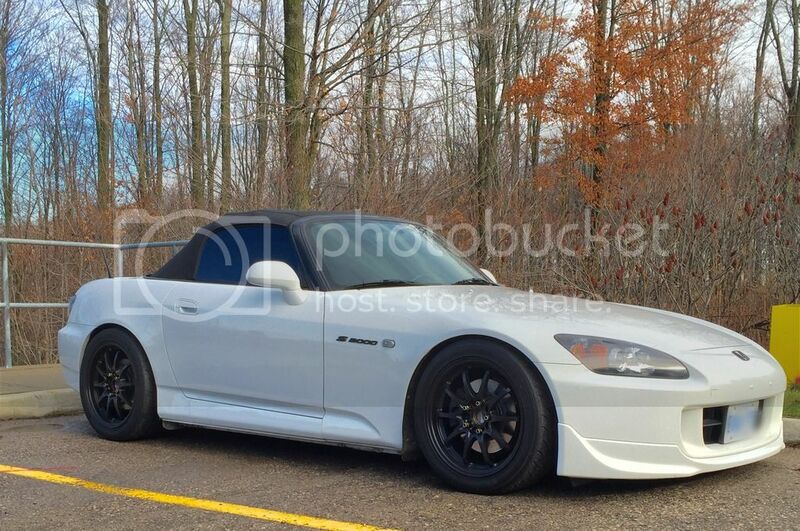 s2000 has high offsets anyway so +50 sounds about right. Its admirable you wanted the wt savings. I can't talk about wheel spacers as I don't use them with my OEM rims but spacers will just move the rim out- It will do nothing to change the look you don't like. Opinions vary, but i prefer OEM rims AP1v1, AP2v1. They weigh about 17.5 lbs F and about 18.5 lbs R give or take. The issue with those rims- while being 17 inch- have a detail that gives them the look you don't like- the spokes don't go right to the rim edge. So, what can you do if you're just going for the look? You could lower it, but then if you do that wrong you'll completely mess up what those Honda engineers spent all those years figuring out. A good OEM friendly combination pair CR shocks with the quality lowering springs from Swift. Much smarter people than me can chime in to give better advice. That setup looks really good in terms of offset. I wouldn't mess around with added spacers. You can improve the look by dropping the ride height.